Translation Services I highly recommend the English inTense course by UvA Talen. Thanks to the carefully selected team of enthusiastic and highly motivated teachers and the variety of activities provided during this intensive week, although my English is not perfect, I can now write and speak it with self-confidence. 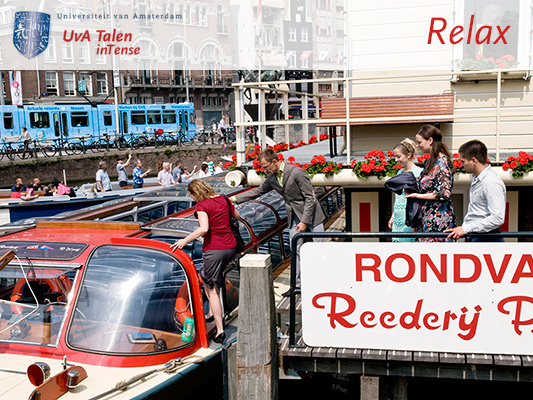 UvA Talen inTense is an exclusive programme run by UvA Talen, aiming to provide high-quality, intensive language training. The programme is oriented towards motivated, quick-to-learn professionals and private participants. In most cases, training is based on the principle of ‘full immersion’. This means that from early in the morning until late in the evening, participants are immersed in the language that they wish to learn. Participants have the option of staying in a pleasant and well-equipped hotel in the centre of Amsterdam for the duration of the programme. What’s more, the wonderful city of Amsterdam does not merely serve as a backdrop to the programme. In order to ensure that you learn to deal with practical situations, every day, the programme includes one or more fun and instructive excursions. In addition, lunch and dinner are taken in an establishment in the city’s lively centre, accompanied by a language trainer. UvA Talen inTense offers more than just full-immersion training, however. We also provide other forms of intensive training, with the option of accompanying overnight accommodation. 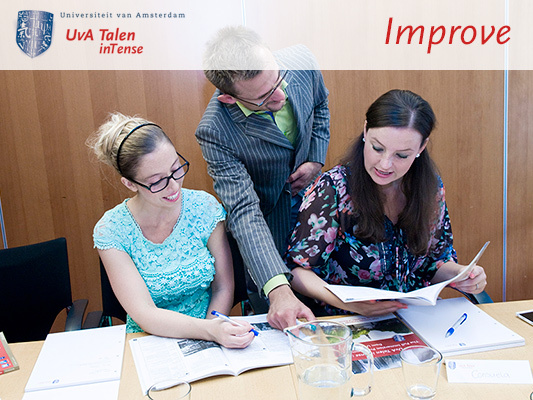 UvA Talen inTense provides training programmes in 12 different languages. Training programmes in other languages can be catered upon request. 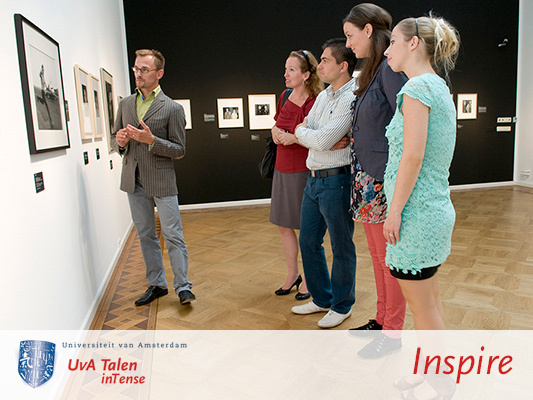 UvA Talen is the independent academic language centre of the University of Amsterdam. We provide a wide range of high-quality language services to businesses, government institutions and semi-public organisations, and private individuals. UvA Talen caters to the language needs of countless internationals from around the globe. You can find an overview of our complete range of language courses and other language services on www.uvatalen.nl.